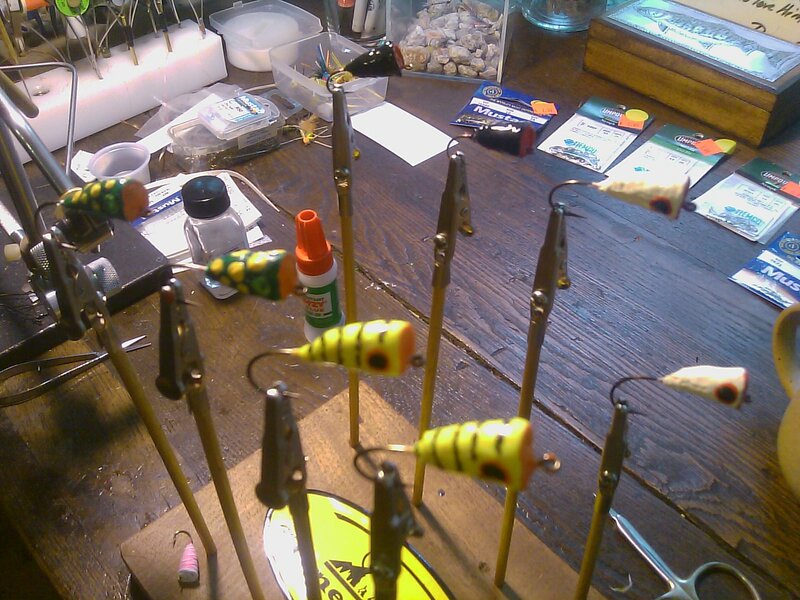 New River Smallies on Poppers are Hard to Beat…. 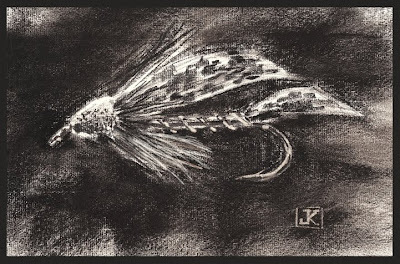 Will have a fishing report later today…..have a great Friday~! Hope your weekend is grand…! Nice Evening of Bassing in Summerfield…. 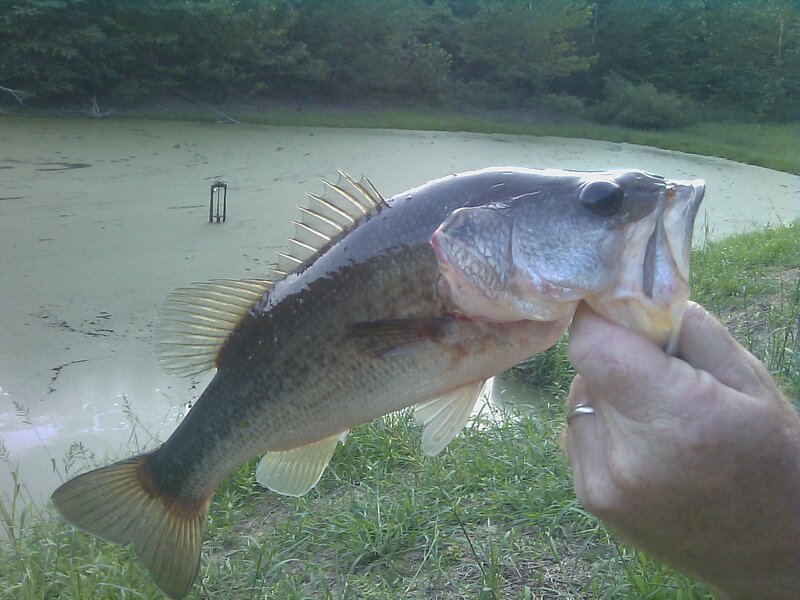 Thurs….July 29,2010…..spent this afternoon with Tim Cooke, took him to one of our ponds here in Summerfield. Fishing on this water right now is an early or late proposition, and we did ok managing 3 bass, a pair of 2 pounders and a 3 pounder, and several more takes we missed. Missed 3 surface takes on one of my blue damsel poppers. Will be heading to the Smith tomorrow am for some early morning terrestrial action. Have a great evening. 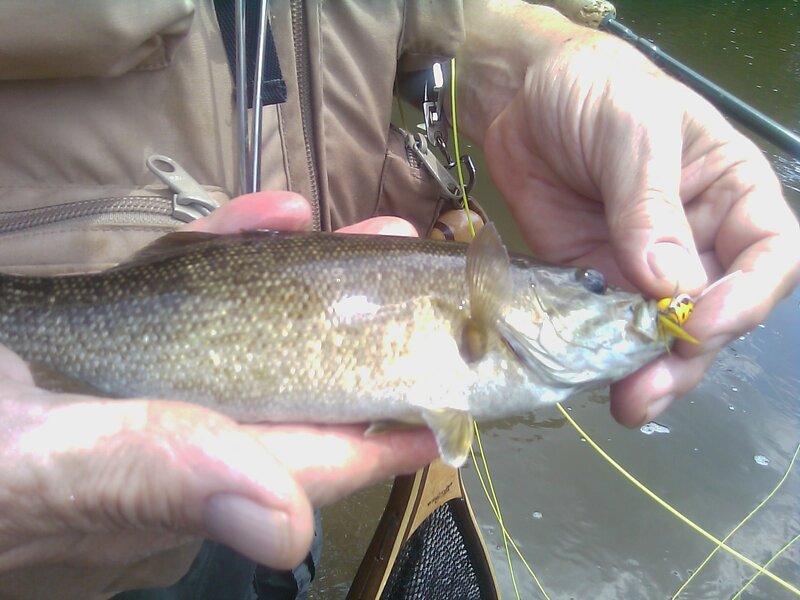 Thurs……July 29,2010…..Its popper time for sure, have been having some good popper action on smallmouth lately. Expecting some good fishing later today as well, taking Tim Cooke of Winston-Salem, NC out for some largemouth action this afternoon. Its great to watch a largemouth explode on a popper and tear a hole in the surface layer of vegetation here on our pond. 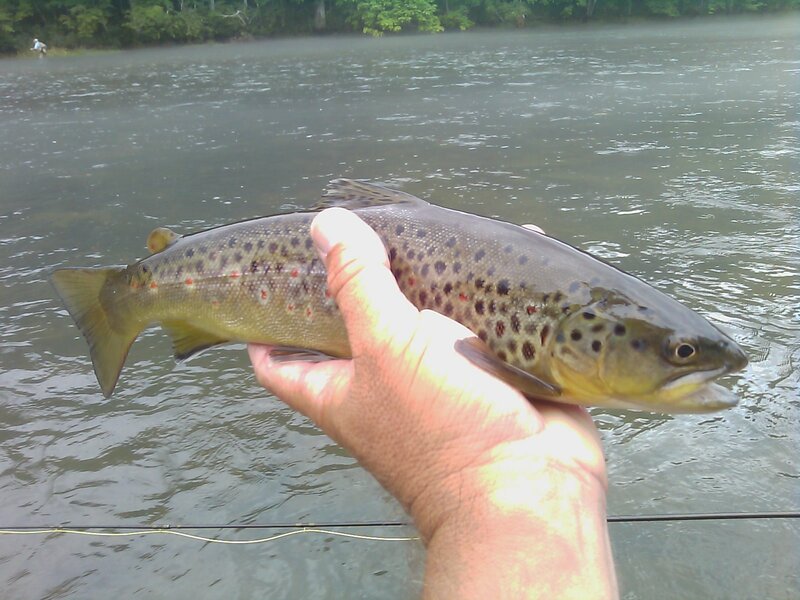 SoHo continues to fish well, we have had great dry fly action over there and the TVA has provided some decent release schedules lately. Let’s Go Fishing…….more to come later today. Dog Day Heat Can Hold Some Treats….. Sat ……July 24,2010……Finally the area smallmouth waters are clearing and dropping at a rapid pace and the topwater bite is pretty good. Today was a scorcher…..when areas like Wytheville, Bastian, and Bland VA hit the 90F mark you know its a hot one. 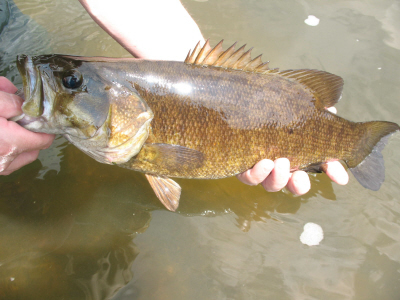 But the smallie bite is on….the fish above came at 1pm under a blazing sun and a bluebird sky and sucked in a popper …the fish came from a mid river grassbed next to a couple of deep ledges…this spot produced a couple of fish in the 3 to 3 3/4lb range. 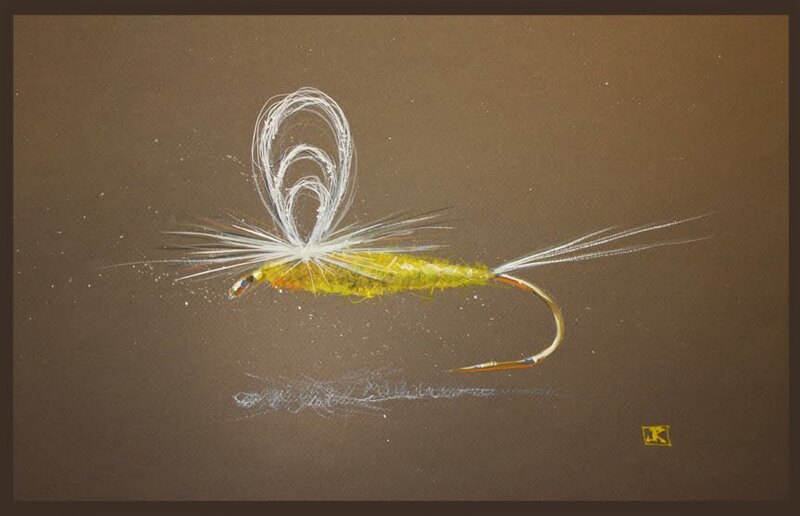 Right now the topwater bite is an all day possibility with an especially good bite at sun up and also at sun down. We will be doing a lot of these trips in the coming weeks…..join us for one and let’s go fishing….! Fri….July 23, 2010…..Just catching up on some stuff at my "office" (how many offices have rods, reels, tying benches…its pretty cool). 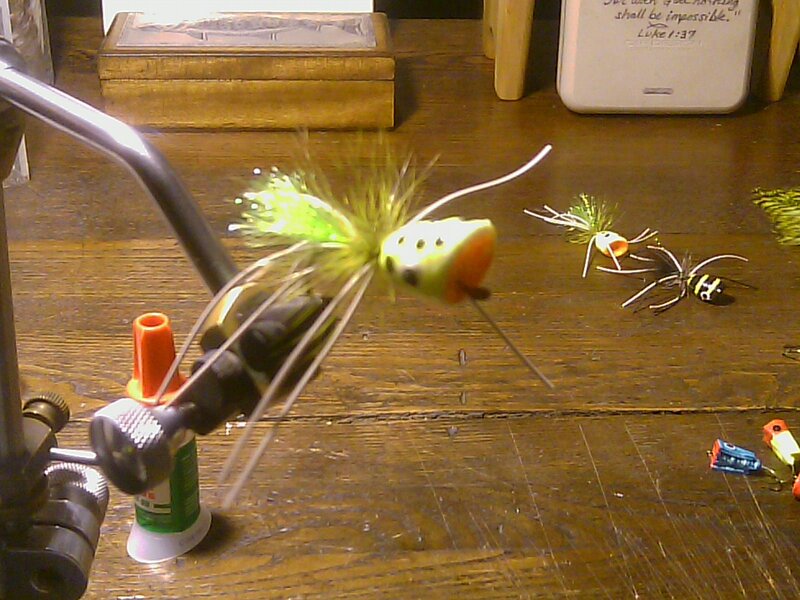 Had some good smallie fishing midweek, and some good dry fly action continuing on TN and VA tailwaters. 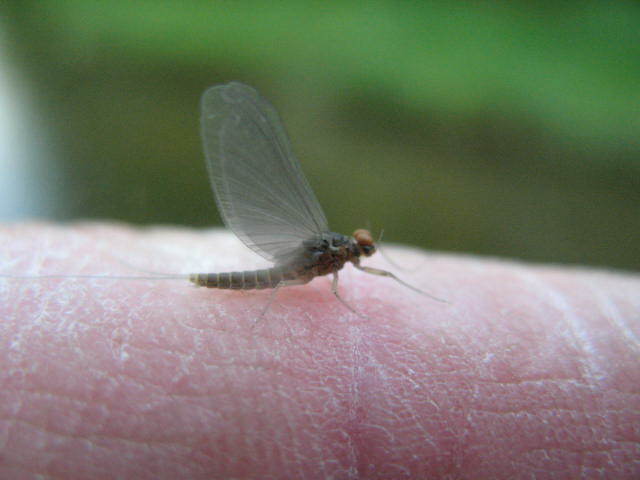 Sulphurs continue to pop on the South Holston, and everywhere else its craneflies, summer BWOs (#20,24 Baetis in TN, and #24 Pseudocloeon in VA-Smith R), small black caddis, blackflies, and terrestrials. Small streams a few of the above bugs, along with Lt Cahills, orange spinners (dusk), yellow sallies #16, and terrestrials (beetles and para ants). 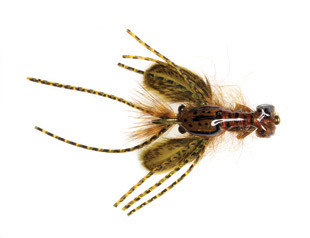 Another effective rig for summer creek fishing is a dry Elk wing caddis with a small red #20 copper john or lime green one. 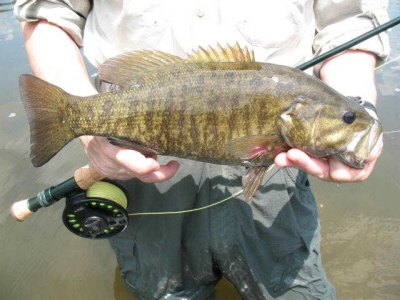 Have some openings in the coming weeks, we are into a great stable weather pattern that should produce good smallmouth action and good small stream fishing and tailwater fishing. And some opportunities as close as an hour away. Lastly, one of our private waters will fish as well right now as anywhere you could fish, with both numbers of fish and large fish, and all while avoiding the sun and summer heat while standing in very comfortable 54F water…..does it feel great….? You bet it does, and you can enjoy it and catch lots of fish at the same time. 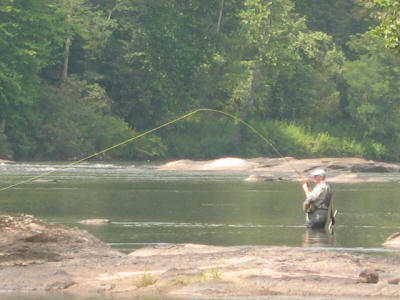 Don’t let this summer heat get to you…….Let’s Go fishing!